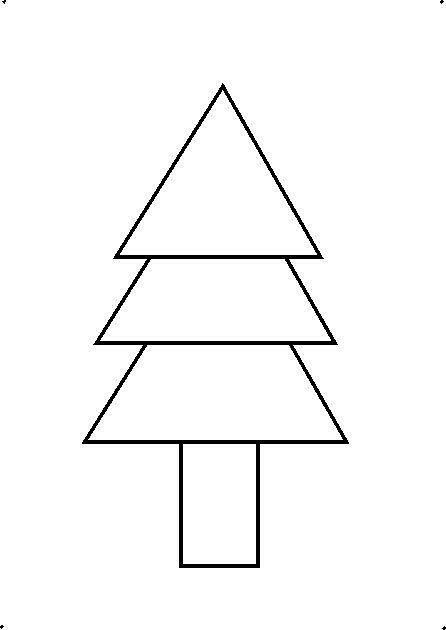 In this article I have mentioned how to draw the Christmas tree in some simple and easy steps by using various geometrical shapes. You can follow the instructions step by step and make it on your own. 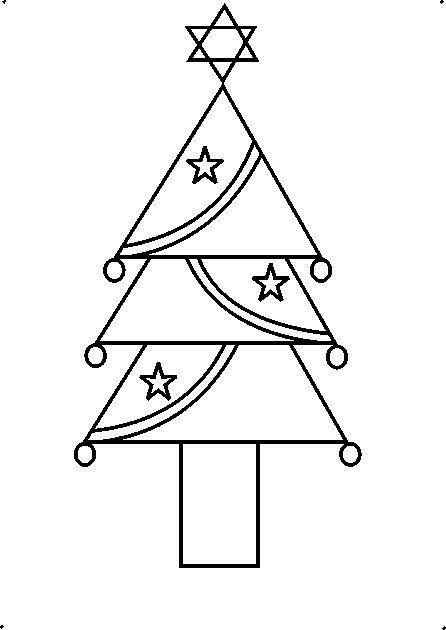 The step by step process of drawing a Christmas tree is given below you can draw it on a paper with a pencil by seeing the step by step drawing. 1. 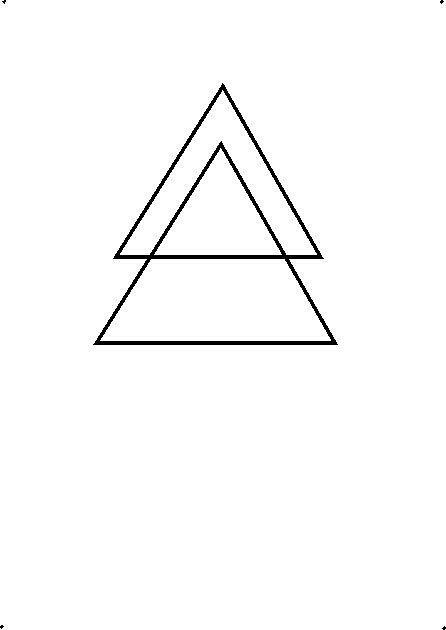 Step 1: Make a triangle. 2. Step 2: Make another triangle (little larger than the previous) below it, with top half is overlapping the previous triangle. 3. Step 3: Make another triangle (little larger than the previous) below it, with top half is overlapping the previous triangle. As shown in figure. 4. 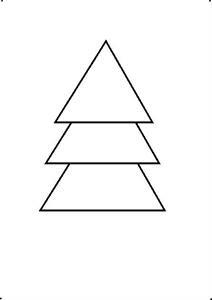 Step 4: Now draw a rectangular shape below the previous triangle as shown in figure. 5. 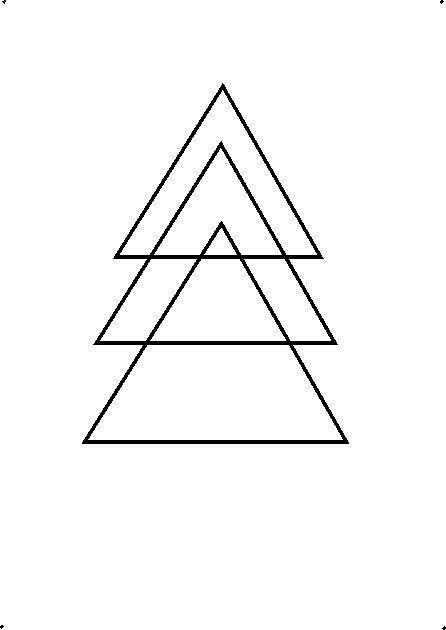 Step 5: Remove or erase the excess lines inside the triangles by seeing the image. The Christmas tree is ready now. It's time to decorate it, see the steps below. 6. Step 6: Now, to draw a star, first we have to make a small triangle. Draw it above the Christmas tree. 7. 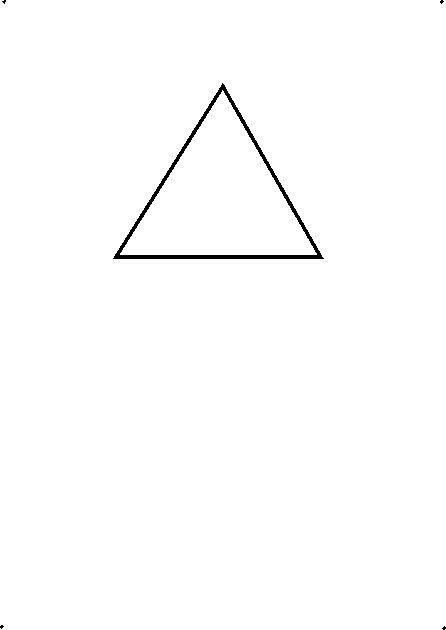 Step 7: Draw another small triangle (upside down) as shown in the figure. The star is ready. 8. Step 8: Now decorate the tree by making small circles on the edges of the top branch of the tree. 9. Step 9: Repeat the above step on the other two branches. 10. 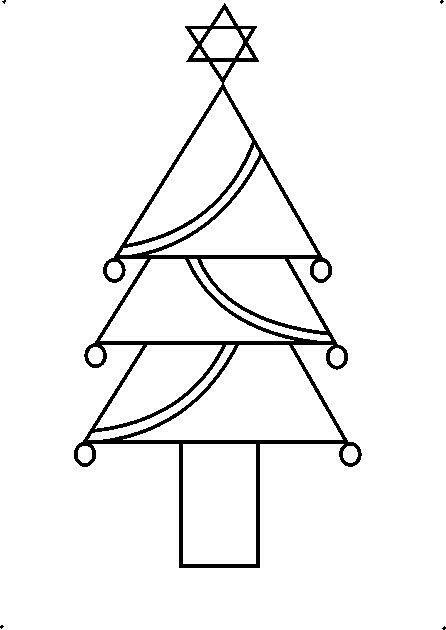 Step 10: Now, decorate the tree by making ribbons on the branches, as shown in figure. 11. 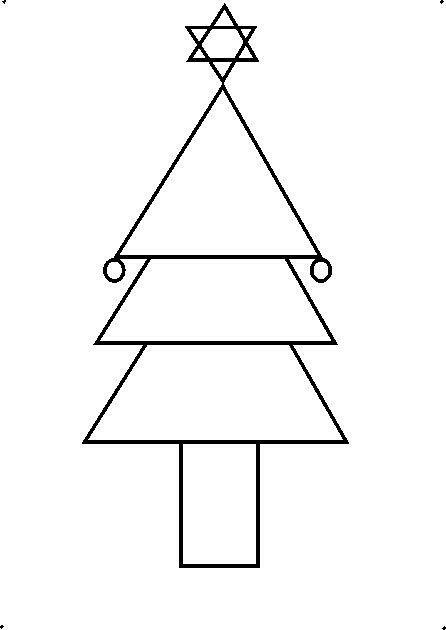 Step 11: Now, decorate the tree by making stars on the branches, as shown in figure. (You can also make the stars using the step 6 and step 7). 12. Step 12: Now make small circles inside each branch to decorate it. The Christmas tree is ready. Color it using appropriate colors. Now you know how to draw the Christmas tree. 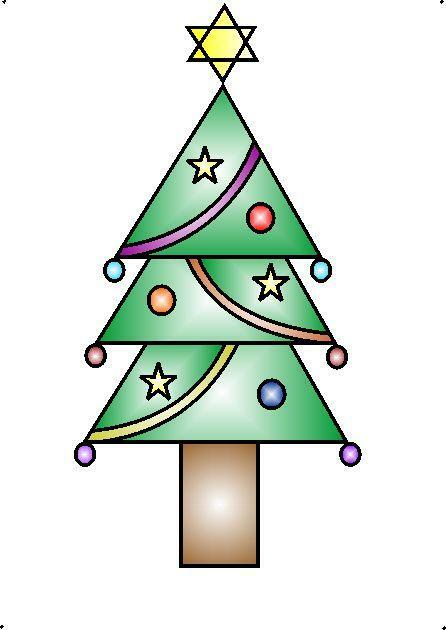 You can make this Christmas tree more attractive and decorative by using glaze paper instead of coloring it. Cut the various geometrical shapes used in the drawing and paste them on the paper as shown in the article instead of drawing the tree. 1. 5 triangles: first triangle with 2 inch each side, second with 2.5 inch each side, third with 3 inch each side to make the branches of Christmas tree and two small triangles with 2 cm or 0.75 inch each side to make the star. 2. 1 rectangle with 2 x 1 inch. 3. 9 circles of different colors:- 6 small circles and 3 a little bigger circles as shown in figure. 4. 3 colored stripes: to make the ribbons. 5. 3 small stars: you can draw them on glazed paper and then cut them. You can use various more decorative thing of your choice and also decorate it with sparkles. Show it to your friends and amaze them. Enjoy!